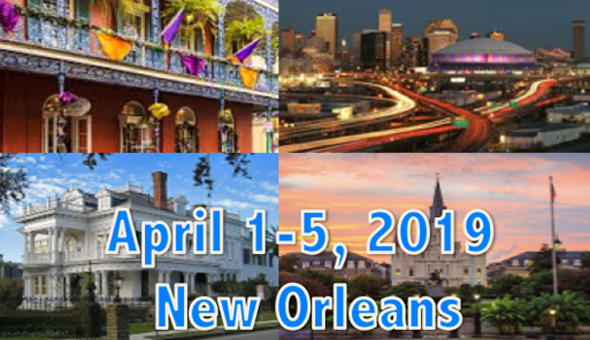 Over 1000 professionals representing pharmaceutical/biopharmaceutical companies, CROs and multiple regulatory agencies convened at the 13th WRIB (April 1-5, 2019, New Orleans) to discuss current topics of interest in bioanalysis, biomarkers, immunogenicity and Gene Therapy. High Quality, better compliance to regulations and scientific excellence are always the foundations of this workshop. The 2019 White Paper from the 13th WRIB will be published on Journal Bioanaysis towards the end of the year. Built on the previous success, the 14th WRIB will take place on March 30 - April 3, 2020 in a Desert Resort in Phoenix (Pointe Hilton Tapatio Cliffs Resort), and will continue to be a forum where regulators and industry convene for working together in the field of bioanalysis, biomarkers, immunogenicity, and Gene Therapy to improve global health. No need to run to look for a restaurant/cafe to eat breakfast or lunch... At WRIB, food and snacks and wine and beers are all included for you every single day so you can just focused on learning and networking :-). The 14th WRIB will feature again the novel and unique 3-Day Sequential Program (Day 1, Day 2, and Day 3) during the Main Workshop Days with no parallel sessions for a Full immersion in Bioanalysis. Moreover, attendees have the flexibility to choose Main Workshop Days based on their specific track of interest and learning needs. In addition to the 3-Day Sequential Main Workshop Days, there will be 6 Full-Day Specialized Sessions spreading throughout the week to give attendees many choices to combine Main Workshop Days and Specialized Sessions to maximize the learning process at any level in any field of expertise. Participating Regulators at the 14th WRIB will again include all Major and Influential Regulatory Agencies in North America, Europe, Latin America, and Asia. We look forward to seeing you next year in Phoenix! WRIB is organized by CFABS, a non-profit scientific organization dedicated to promote exchange of knowledge and sharing of ideas in analytical and bioanalytical sciences.